I got into youth soccer as a journalist first (not counting my experience as the best U14 center back in Athens, Ga., before anyone else in Athens started playing soccer). I would go to an NSCAA Convention to cover the MLS draft, and then I’d meander over to the meeting rooms to see what was going on. Coincidentally, in 2010, I left USA TODAY, mostly so that I’d have more family time. Time to do things like … coach my kids in soccer. So I was getting multiple perspectives on the youth game. 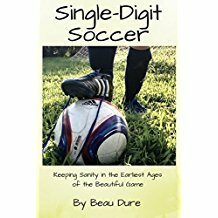 I was just learning how to be a parent coach, and I was starting to cover youth soccer issues. In 2011, I came to the convention on assignment with ESPN and saw Claudio Reyna unveil the new U.S. Soccer curriculum. Then I ran back over to the MLS draft and interviewed Bruce Arena, telling him I had just seen Claudio unveil the curriculum. “Claudio who?” Arena said in that “I know who you mean, having coached him in college and on the national team, but I’m going to toy with you a little bit because I do that” tone of voice that he has. Then he told me he believed the country was too big and too diverse for any single style. So I’ve known for a while that this isn’t easy. We don’t all agree on what we’re supposed to be doing in youth soccer. And in this chaotic environment, you’re asking volunteers to give kids their introduction to the sport. Mostly parent coaches. “Parent coach” is a broad term, of course. Sometimes you have pro coaches who have kids, and then they’re “parent coaches,” too. Some parent coaches go on to stick with it through older age groups, and we’ll talk a bit about those groups later. But for most of this presentation, we’ll be talking about the early age groups, where we have not yet split into “recreational” and “travel.” Some of these kids may have pro coaches with A or B licenses later on, but for now, it’s on us. So first, let’s take a look at this age group. The biggest difference between early-age rec and elite-level travel is diversity. If you’re coaching a U6 team, you may have some players who are already showing signs of being “elite” one day, and you may have some who look like they’re never going to understand the basic idea of the sport. Skill level: Some are already juggling. Some can’t kick the ball. Physical literacy: I don’t know what kids are learning in P.E. classes these days, but they’re not learning how to run. (I bumped into Sam Snow in the hallway and asked him how we’re supposed to teach that. I’m hoping it’ll be a topic at future conventions or maybe even part of the F license.) And even so, kids at this age are going to be all over the map, maybe changing from year to year or month to month. Kids will hit growth spurts and be unusually clumsy for a few months while they’re adjusting to their new bodies. Behavior: Some really want to play soccer. Some … really don’t. Some do, but they’re easily distracted. Some do, but they’re easily distracted. Some are blissfully unaware that a soccer game or practice is in progress around them. Interest in the game: Some kids get up on Saturday mornings to watch Premier League games, or they spend their Sundays watching Liga MX and MLS. Some go to games – MLS, college, anything. Others haven’t seen a soccer ball outside of practice. We’re also diverse. In some of the same ways. Skill level: Some of us got great training growing up. Some didn’t. And for some of us, it may have been a long time. Soccer experience: Some of us used to play at a high level. One of the parent coaches in my league the past few years played with Julie Foudy at Stanford. Some of us used to play at a not-so-high level. Some of us never played. The last group may be getting smaller, but it’s still there. Fitness level. Some of us are triathletes. Some of us work at a desk 10 hours a day and can’t find the gym. Fan interest: Some of us watch MLS, EPL, Liga MX, Champions League, El Clasico, the Old Firm Derby and anything else we can find. Some don’t know what channel those games are on. Some, particularly younger parents, have “cut the cord” on cable, and they’re not watching any live sports. One thing we generally have in common: We’re eager to learn. We want to know what we’re doing. But there are limits. We don’t want to spend two weekends away from home to learn how to be a recreational coach for 13-year-olds. We DO want feedback and some easily digested advice. There’s a quote attributed to Bill Nye (the Science Guy, and also the comedian who created the legendary “Speed Walker” character on Almost Live): “Everyone you will ever meet knows something you don’t.” I’ve seen some NSCAA presentations that make similar points. Your parent coaches probably don’t have the soccer expertise you have. Some of them are great at building rapport with kids. Some of them are organizational geniuses. As you’re teaching them, see if they have something to teach you. Here’s a hypothetical: How much would you need to charge if you had professional coaches for every recreational team in your club, no matter the age groups? Some clubs get high school or college volunteers. Some don’t. But I really don’t know any full-service clubs (travel and rec) that don’t have parent coaches in some capacity. And even if your club is travel-only, you’re going to be recruiting kids who had parent coaches at their rec clubs first. Long licensing classes in how create a training plan. Most clubs these days have a curriculum or at least some training plans. We can also find training plans online. We also don’t need incomprehensible training plans. Please don’t overthink it. We’re supposed to avoid “laps, lines and lectures.” Then we get training plans with 3-4 new complicated exercises to teach every practice. So we’re spending 15 minutes out of an hour in lectures. And we have to get these kids in line while we’re lecturing them. Then they run out of patience and act up, so we have them run laps. On-demand video is a great start. The online F license is a vast improvement over the old in-person F license. We can see Shannon MacMillan and Vince Ganzberg running sessions, on our own time. And that takes away the excuse. You don’t like having unlicensed coaches in your club, and parent coaches don’t like dealing with unlicensed coaches. Put it online and on-demand, and you’re in a better position to require us to do it. Technical tips are vital because, again, a lot of us didn’t just finish successful pro careers. At older age groups, it’s a safety issue – we need to know how to teach proper heading. In younger age groups, we just want instill good habits. And just as nature abhors a vacuum, coaches will fill in gaps in our knowledge, sometimes with the strangest takes on things. I coached with someone who had been trained through AYSO, and somehow, he had it in his head that soccer players weren’t supposed to be creative. He decided all the kids had been improperly coached because they didn’t dribble in straight lines using their feet pointed downward like ballerinas, kicking only with the laces. The previous technical director in the club, who was from Brazil, had taught us to teach kids to use all surfaces of the feet. This guy berated the team all season for failing to do things one rigid way that they simply hadn’t been taught. Disciplinary tips: I’m not going to berate my team for things like using the “wrong” surface for dribbling. But I am responsible for safety, which means getting the kids to quit grabbing the goal posts and so forth. And we don’t talk about it in licensing courses or most other coaching literature. The F license gives us a couple of ideas for getting kids’ attention – don’t make kids squint into the sun, take one knee to get on their level, etc. – but we don’t know what to do when kids are disruptive. On your U16 travel team, where you can threaten to bench someone who’s misbehaving in practice and you know their parents will take away their xBoxes, then you have some options. On my U8 rec team, I don’t have much. It came to my attention at the 2017 Convention that U.S. Soccer is indeed revamping its coaching pathways. Again. And that’s good. The F license is a good building block for everyone. The E license is so-so. By the time we reach the D license, we need to recognize that my U14 rec training is going to be a little different than D.C. United Academy’s U14 training. I hope so, anyway. And we really don’t need licensing courses in which the coaching candidates have to be demonstration guinea pigs. That’s fine for the kids straight out of college who are just starting out in their adult lives. Those of us in our mid-40s with Achilles tendinitis issues don’t need to spend a weekend chasing around people who are in much better shape than we are. We might need an in-person session on teaching technique. That’s tough to get across in a video. Anything else that can be online really should be online. And we don’t need to learn about periodization, no matter how much that topic is in vogue in NSCAA circles right now. I have some kids in rec who are getting no other exercise. I have some who are playing multiple sports. Talk to their track coaches about periodization. U.S. Soccer might not give us the recreational coaching program we all want. And even if they do, you as a club’s technical staff need to follow through at club level. Maybe you can do technical tips. Do something to meet your coaches face-to-face. Then follow up with more conversation. Maybe everything makes sense in a preseason coaching clinic. Then after a few weeks, your new coaches have a few questions. Have a mailing list or some sort of discussion forum so you can talk about it. Then listen to us. Remember, we’re coaching your future elite players. You have the edge when it comes to spotting soccer aptitude. But we’re working with these kids every week. We can tell you about their attitudes and their enthusiasm. We can tell you which kids are responding well to coaching and which ones think they know it all. Don’t be surprised when someone who stood out at U9 tryouts turns out to lack the attitude needed to learn the game. A few ideas here, and the first two come from the same general area – please don’t make us spend a lot of money to be coaches. We need goals, we need pinnies, we need cones, we need ice packs. The next two are also from the same general area – talk with us, give us some ideas. And in that communication, try to get us all on the same page. It’s so frustrating to coach a U8 team the “right” way – emphasizing skill development over winning, rotating players through different positions, etc. – and then go up against a coach who didn’t get the message and has one big kid in front of his own goal booting the ball up to a fast player in front of the other goal. Balance the teams so the kids get challenges (and don’t get too discouraged). If you’re trying to instill a particular playing style, let us know what that is and how to get it. We’re going to have some special-needs kids. Some have been diagnosed, but the parents would prefer that they try general rec soccer instead of TOPSoccer. Some have NOT been diagnosed. Either way, we could use some advice. 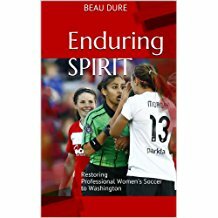 Supplemental training: Hopefully, your club is offering something to let players with better-than-average aptitude and interest work with professional coaches and refine their technique. Reimbursement: Again, please don’t make us pay out of pocket for something that’s supposed to benefit your club. Refs at U8: This is controversial. But I had some bad experiences at this age coaching against self-styled General Pattons, whose players figured they’d win the game by fouling the bejeezus out of my players. One game was so bad that a parent on my team made a flimsy excuse to get her son off the field. She emailed me later to explain her anger at what was transpiring on that field. Working with kids we know: I know it runs counter to AYSO principles. But you want to put your parent coaches in the best position to succeed, and it helps to have them NOT spend half the season just getting to know the players. And it makes us invested in these kids. I worked with a co-coach once who clearly didn’t care about any of the kids in his charge. That wasn’t healthy. If I had an attitude like that, the other parents would quite rightly have run me out of the neighborhood. We don’t want to instill bad habits. We also don’t want to make someone so miserable that he or she doesn’t come back and play. “Fun” is a loaded word, but remember – every kid we drive away from the game at U6 is a player you won’t have the chance to coach at U12. And be sure that you haven’t cast the die on every player at age 8! Come on out and see how the players are doing at U11. We’ve all seen kids take up the game for the first time at U11 and make the A team by U14. We may not want to admit someone can do that without working 10,000 hours on the ball from age 4 to age 12, but it can happen. So come out and see the kids play. And while you’re at it, take a look at us coaching and let us know how we’re doing. This presentation was well-received. I’d like to do it again, but I’d like to keep revising it to reflect what I hope will be an ongoing discussion. We can certainly do better with our youngest players, and that means better training for the coaches that will work with them. Got feedback? Fire away. Excellent and succinct. As a 40 something father and coach of three sons ages 5,7 and 9 who coaches U8 (my 5YO plays up) and U10 you have hit the nail on the head. 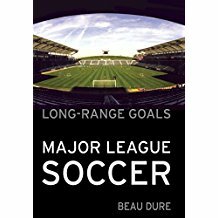 I got my F license but have found more information and practical advice by poaching “stuff” from other well established clubs. I have also benefitted from the Klieban brothers 3four3 blog and podcasts as well as a number of other outlets. I am a former player, as is my wife and we began coaching about one game into a season four years ago when we realized that our kid’s coaches were terrible. It helps that both of us are teachers in middle (her) and elementary (me.) The experience was a positive one for the players, their parents and myself. The highlight of the season for my U10’s was our next to last game and we were up 2-0 and I told my guys that they couldn’t take a shot until all six players, including the goalkeeper, had touched the ball 5 times. They did so and it made me proud because I saw that my kids had actually learned something and then were able to apply it consistently. The opposition were not a bad team, but they hadn’t been developed enough and it showed. Post game, I was thinking about the game and what I could do to improve our performance and it hit me: you have to stand up at the spring coaches meeting and offer to coach any other parents who need the help. There’s no better way to get better than through healthy competition. It would be disasterous to lose kids because either they or their parents had a bad experience due to poor coaching. I want my local club to grow and mature with a bona fide philosophy and style so that kids want to play and people want to come see them play. Thanks for taking the time to post this. I’ll keep reading now that I’ve subscribed. Previous Previous post: Division 2 soccer: Just get on with it!